This story focuses on the effects bullying has on a boy called Dan. Dan becomes sad and withdrawn by the experience - his world changes completely. As the story continues, he finds support and learns helpful tips and ideas. He begins to regain his confidence and learns how to be happy again. 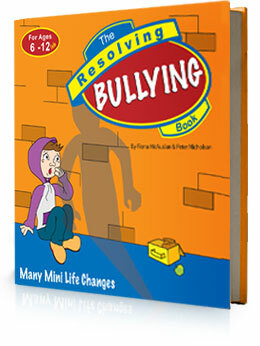 The Resolving Bullying book is a 76 page full colour, easy to read and understand tool that can be enjoyed by a child on their own or read as part of a group or with a parent or teacher.